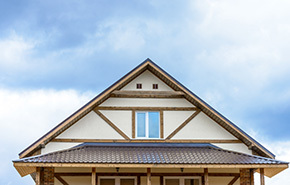 Do you need a new roof? What about a new bathroom, kitchen, or home addition to give your old home a fresh look? Whether you need a new roof, a brand new kitchen remodel, or you’ve been dreaming about having your very own custom home built in the Conroe area, the Lee Brothers Construction team has you covered. We’ll find what works for your budget and get the work done right the first time, no matter your need. Your home is your castle; you deserve a home that looks incredible and will last for decades to come! Lee Brothers Construction has years of experience in the home remodeling industry and we can help you get the results that you want. Lee Brothers Construction has been serving Conroe, Texas for the past 30 years for all residential and commercial roofing needs. Whether you’re building a new home or business or if you’re in need of some upkeep and maintenance on your home, Lee Brothers Construction is your Top Rated Local® roofing company. We begin each project with a free, no-obligation walk through and estimate. When it comes to making your dreams a reality, Lee Brothers Construction is here to help you top off your home with the roof that exceeds your expectations. No matter the style, we will build you a sturdy, beautiful roof made out of asphalt composite, metal, tile, slate or a flat roof. Unlike most roofing companies in Conroe, Lee Brothers is a certified commercial general contractor which means we’re more than just roofers, we understand all angles of the project. The background knowledge we have gained from contracting gives us an inside-know about the custom home building process so we can fit the roofing perfectly into schedule and structure. At some point at living in your home or working at your business, you’ll arrive at the time to repair or replace your roof. Whether it’s due to a bad storm that rolled through or your roof has just outlived its natural expectancy, Lee Brothers is capable of small repair projects as well as entire roof replacements. Discoloration on your ceiling can be due to a roof leak. The longer you put off identifying and fixing the cause for the discoloration, the worse the problem can get. Similarly, if you notice a few shingles of your roof are missing, the longer you wait the more shingles can be torn up and leave your roof exposed to Mother Nature. Therefore, at first sign of a roofing problem, call Lee Brothers Construction, your Conroe roofer of choice for your free inspection and estimate. When you are looking for a home remodeler for your Conroe home, you can count on Lee Brothers Construction. We offer professional home remodeling services that give you the best final results to any project. We have over three decades of experience in the home remodeling industry so there is no project we can’t handle. From room additions to basement renovations and everything in between, our knowledgeable and friendly team is ready to get to work in your home. When it comes to choosing your home remodeling contractor, we’re the premier contractor choice for your property. We have decades of experience so there isn’t a project that we can’t handle. 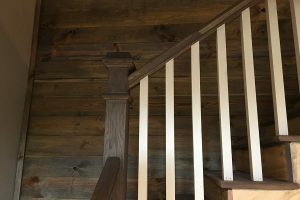 Plus, we put an emphasis on surpassing your expectations both in the delivery of your home remodeling project as well as the level of customer service you receive from every member of our team. We’re passionate about providing an excellent experience and you’ll see that from the first phone call. Our experienced and trusted house remodeling team can help you give your home a total makeover. The Lee Brothers Construction team has been working on home remodels in Conroe for years. Since we started our home remodeler business, we’ve built a reputation in the community as a trusted contractor who can handle all home renovation projects, from minor to major. Our quality of work keeps our customers coming back to us time and again for their renovation needs. They know that we’ll give them incredible value for their money and won’t be satisfied until they love every aspect of the final project. If your home is in need of a complete renovation, Lee Brothers Construction is the only team you want working on your home. We’ll manage the project from start to finish and execute every step with excellence along the way. The initial consultation and design. We’ll walk through your property with you and help you create a plan for your home. If you have your own ideas, that’s great! If not, that’s okay, too; our experienced designers can offer suggestions and help you find something that you’ll love. Creating the plans for the renovation. We don’t just jump into the renovation! We’ll carefully craft plans for your home and allow you to approve them before we get started. That way you’ll know what to expect both in terms of the final look and the final cost. All the demolition and installation. We’ll handle all of the work that needs to be done on your home, including any demolition, construction, and installation of new fixtures and furnishings. Our goal is to help you create a home that you love to live in while maximizing on your budget to increase your home’s resale value. You’ll be able to capitalize on our experience so you get the most value for every dollar that you spend on your home renovation. Plus, our courteous and friendly team will do everything that we can to make the renovation process as stress-free and hassle-free as possible for you and your family. You’ll be amazed at how easy a renovation can actually be! Curious how much it will cost to add another bedroom or bathroom onto your home? Want to finish your basement? Have another home remodeling project in mind? Get in touch with our team today by giving us a call or contacting us through our website. We’ll listen to your ideas and start to work up a plan for your renovation. Then we’ll give you a comprehensive and easy-to-understand estimate on your project. Once you’ve approved, we’ll get to work! Start the process for your room addition, basement renovation or other remodeling project today. And so much more. If you can dream it for your bathroom, we can make it happen. Just talk to our bathroom remodeling team about the ideas you have for your bathroom! Ensure there is the least amount of disruption possible to other areas of your home. You shouldn’t have to feel like you are living in a construction zone. Work with you to make sure the remodeling plan is exactly what you want. We’ll talk to you about your dreams and your budget and create a plan that satisfies both. Be respectful and courteous to you and your home. We want you to enjoy having our team in your home, so we only work with the best, most experienced bathroom remodeling experts. When our work is complete, you’ll be amazed at how easy the process was and how smoothly everything went. 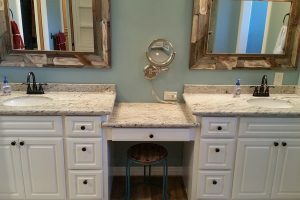 We’ll show you why the Lee Brothers team has been the premier contractor in Conroe for bathroom renovations! If you are ready to transform your old bathroom into a wonderful retreat, it’s time to contact the bathroom contractors that can get the job done, Lee Brothers Construction. Our team will talk to you about your remodeling ideas for your bathroom and then create a plan that you’ll love. We’ll send you a free quote on our services so you can see just how much we can do for your home. If you love what you see, we’ll get to work right away! Give us a call or contact us through our website today for your free quote and to get started on your bathroom renovation. We take on both minor and major remodeling jobs, so there is no kitchen remodel that’s too big or too small for us. All you have to do is talk to our team about what you need and we’ll get to work! We know that you might have grand plans for your kitchen renovation that your budget just can’t meet. Before you give up on your dreams, talk to the Lee Brothers Construction kitchen remodeling team. Because of our years of experience in the Conroe kitchen contractor business, we’ve learned plenty of tips and tricks that can help you save on your renovation and stretch your budget further than other kitchen remodelers could. We can show you the areas where it won’t matter if you save a little so you can splurge on the more important features. We’ll factor in whether this kitchen is meant to be your dream kitchen or you are renovating the space with the goal of increasing your resale value. Factors like these figure into the final renovation plans and make a big difference in what we recommend. This attention to your goals and needs can help you get the kitchen of your dreams, even on a tight budget. Our kitchen remodeling team will get to know more about your style and goals for the project so we can offer suggestions to help your budget and your dreams meet somewhere in the middle. Are you ready to start your kitchen renovation? We’re ready to get started! Contact the Lee Brothers Construction team for an initial home renovation consultation. We’ll get information from you about what you want for your kitchen and then help you create the right plan for your home. 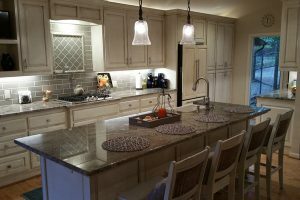 Give us a call or contact us through our website and we’ll even send you a free quote on your kitchen remodel! We’re looking forward to starting your kitchen project and helping you create a space where friends and family can gather and you can take your cooking skills to the next level. Taking down walls to create an open floor plan. Upgrading kitchens and bathrooms to modernize their look and functions. Giving your home a new look with interior and exterior painting, window and door replacement, and more. There are so many options that we can do to help make your home more beautiful, more comfortable, and increase its value. Living in the middle of a construction zone can be stressful! The Lee Brothers Construction team will do everything that we can to ensure that the house renovation process goes smoothly. Our team will treat your home with the utmost respect and work to minimize the disturbances to your home life and routine. We also work quickly to complete your renovations so you don’t have to live with the noise and mess any longer than is absolutely necessary. Just because we work quickly doesn’t mean that we sacrifice quality, though. You can always count on the Lee Brothers Construction team to deliver the finest results on every house renovation project we do. That’s why so many residents in Conroe turn to us to handle their home renovation projects! Are you ready to give your old home a new look? Trust the work to Lee Brothers Construction. Give our renovation contractor a call and let’s talk about the kind of project you are thinking of for your home. Once we have some details, we can send you a free quote so you can see how far we can help stretch your budget. We know how to find areas to help you save money on your home renovation. That’s what comes from years of experience as a renovation contractor! So get in touch with us by giving us a call or contacting us through our website and let’s get to work on your home renovation. We’ll help you transform your home into the home of your dreams! Get the Outdoor Kitchen You’ve Been Dreaming of! Expanding your living space. You’ll be creating new living spaces outside, which is perfect when you are running out of room inside your home but don’t want to move. Giving you a place to do some master grilling. Grilling is an art form and the best outdoor kitchens take it to a whole new level. Creating the perfect spot to host a party for your family and friends. Take the mess and stress of a party and put in your backyard! It’s a great way to entertain in a relaxed, stress-free way. Increasing the value of your home. When it comes time to sell, your outdoor kitchen could make your home more desirable to potential buyers. The best outdoor kitchens are as attractive as they are functional and give you plenty of comfortable seating for guests to watch the action. 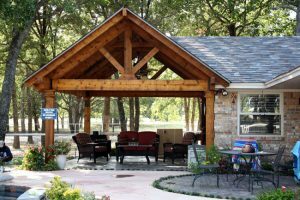 The Lee Brothers Construction Team builds the best outdoor kitchens in Conroe because we understand what needs to go into a great kitchen so you can get the most out of it. If you’ve been dreaming about an outdoor space that provides the necessary tools to create a gourmet feast while still entertaining your family and friends, we’re the team to do it for you. When we are done, you’ll have an amazing outdoor kitchen that you love to be in and share with your friends and family. Plus, a great outdoor kitchen can help increase the value of your home, something you love when it comes time to sell your property! Wish you have more space to cook and socialize outside of your home? Then it’s time to talk to the Lee Brothers outdoor kitchen team today. We can build the outdoor kitchen of your dreams and help you maximize every dollar in your budget. Give us a call or contact us through our website and give us some details about your project. We’ll send you a free quote and then get started when you are ready! Our team can work quickly to provide the high-quality outdoor kitchen you want. Let’s get started today! Custom built homes can be a wonderful investment for you and your family. The key to making sure your custom built home is perfect, though, is to work with the right builder. You’ll want to find a builder who has the experience, manpower, knowledge, and equipment to do the job right. You don’t take investing in a custom built home lightly, and neither should your builder. That’s why when people are searching for a house builder in the Conroe area, they come to Lee Brothers Construction. We’ve been working on custom built homes in Texas for years, and our experience helps us bring more value to our clients’ projects. We can help them stretch their budget further and get their projects done faster without ever sacrificing the quality of their finished home. You’ll be amazing at how affordable and easy it can be to make your custom built dreams come true. The initial design of your project. We can work from your completed plans or offer suggestions to help get the process started. Our team can also provide consultation services on what is and isn’t possible in your custom built home based on your location, budget, and other deciding factors. Construction of your new home. It gets exciting when the project starts to take shape! We’ll try to minimize your stress during the construction by offering you regular updates on the status of your new home. We’ll also work hard to stay on budget and notify you of any unexpected costs. Finalization of the project. At the end of the project, we’ll take steps to ensure that even the smallest details are considered and handled to your satisfaction. We work to exceed expectations and deliver a custom home that you are thrilled to own. You need a house builder who can handle all of the aspects of building a custom home, and that’s exactly what you’ll get with Lee Brothers! If you’ve been considering building a custom home, it’s time to talk to Lee Brothers Construction. Our house building team in Conroe can help manage your custom home construction from start to finish and make sure you get the home that you wanted. We’re proud of our craftsmanship and can provide examples and references from previous customers so you can see when we can really do. Give us a call or contact us online for more information and to get your free quote from our house builder today. We’re looking forward to working with you on your new home! Adding on a new bedroom for a growing family. Adding a new bathroom so you don’t have to shower on a schedule. Adding an entire mother-in-law suite for a parent who is moving in with you. Adding a family room onto your home so you have more room to gather with everyone. Expanding your kitchen to keep up with demand. Whatever kind of space that you need, the Lee Brothers Construction team has the resources, manpower, and experience that’s required to make it happen. We’ll start by getting to know more about you and the goals that you have for your home addition. Then we’ll talk to you about your budget and your must-haves for the space. Then our team will create plans for home additions that meet your needs while still staying within your budget. In the end, you’ll have a home addition that perfectly matches the style of your home and that expands your living space so every member of your household can be happy and comfortable. If you are tired of feeling like the home that you love is too small, it’s time to discuss house additions with our Conroe team. You can get a free quote on house additions from us by giving us a call or contacting us through our website today. 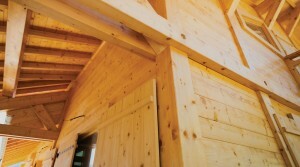 We’ll get more details about the addition that you want and then send you an affordable quote. We can get to work on your house additions right away, too, so you can start enjoying it sooner. Let us send you a quote today! Contact the Lee Brothers Construction team and see what we can do for your home.